A native of Boston, Laura Benson has lived in Southwest Florida for more than 30 years. She earned her real estate license in 1997, and has been working as a real estate professional ever since. With a background as a real estate paralegal and experience in fields ranging from mortgage lending to construction management, real estate law to agent training, Laura has the knowledge and flexibility to understand all aspects of the real estate industry. Prior to her management role with the Venice and Plantation offices, Laura served as the Director of Agent Services for Michael Saunders & Company. In this position, Laura acted as the principal liaison between the company’s corporate marketing and technology services and its more than 550 agents located in 23 branch offices from Bradenton to Punta Gorda. She also trained Michael Saunders & Company’s agents to use the company’s latest marketing and technology tools to maximize their business and enhance their customer service capabilities. 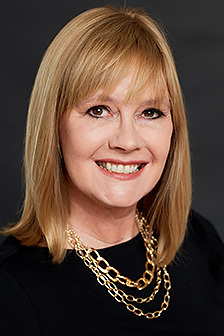 Laura is a longstanding member of the Sarasota Association of Realtors (SAR), and has served as the 2012 President, chaired its Public Policy and Governmental Affairs Committees, served on its executive board, and has been certified as an instructor for the state-mandated ethics course. In 2008, Laura was named Sarasota’s Realtor of the Year. As an active member of the Sarasota community, she has also been an elected member of the Sarasota County School Board, and is the past president of the Early Learning Coalition of Sarasota. One of Laura’s proudest accomplishments as a private citizen is her appointment by the Florida State Senate to a charter seat on the Century Commission for a Sustainable Florida. The committee, established by State Senator Mike Bennett (R-District 21) and chaired by former St. Petersburg Mayor Rick Baker, is an organization charged with plotting a generational view of Florida’s future. Laura lives in Sarasota with her husband Brian Meskil has four children and one grandson.